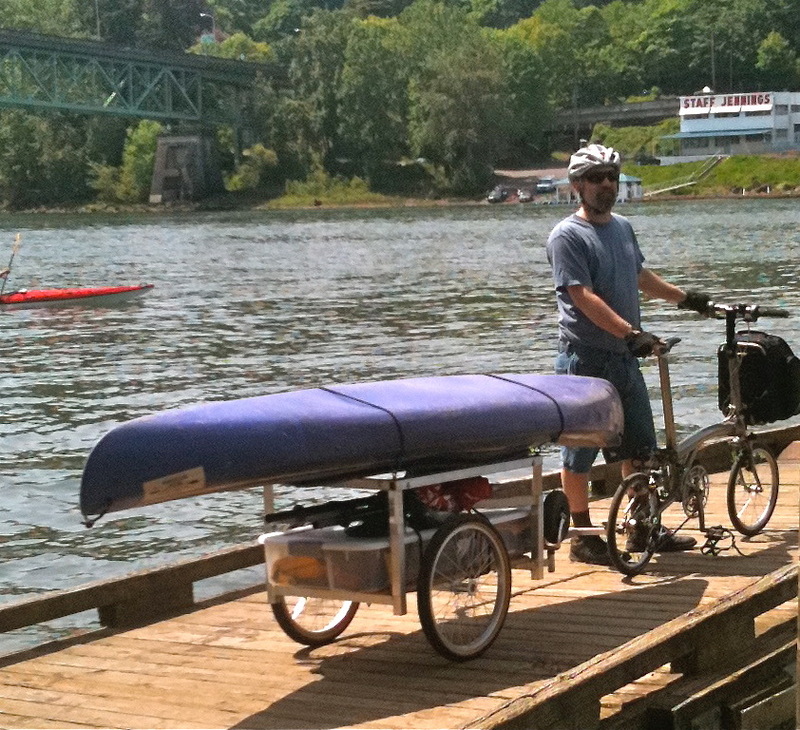 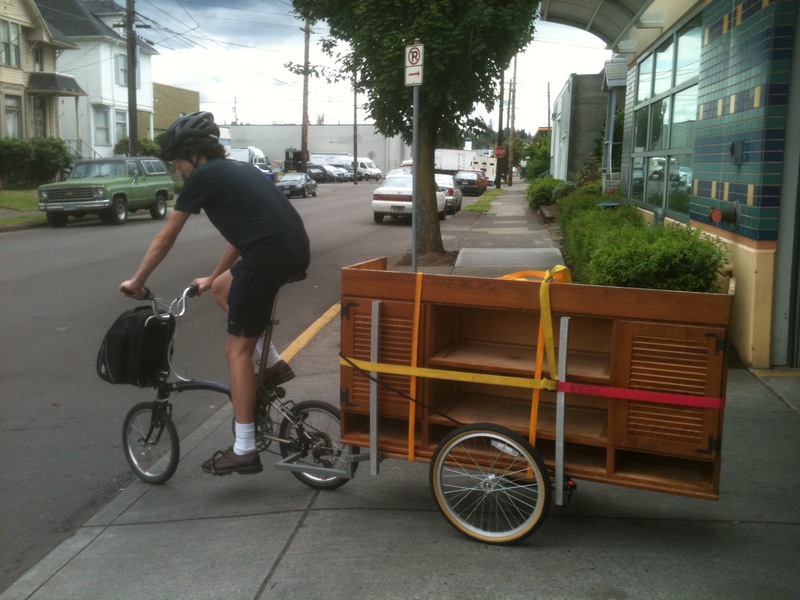 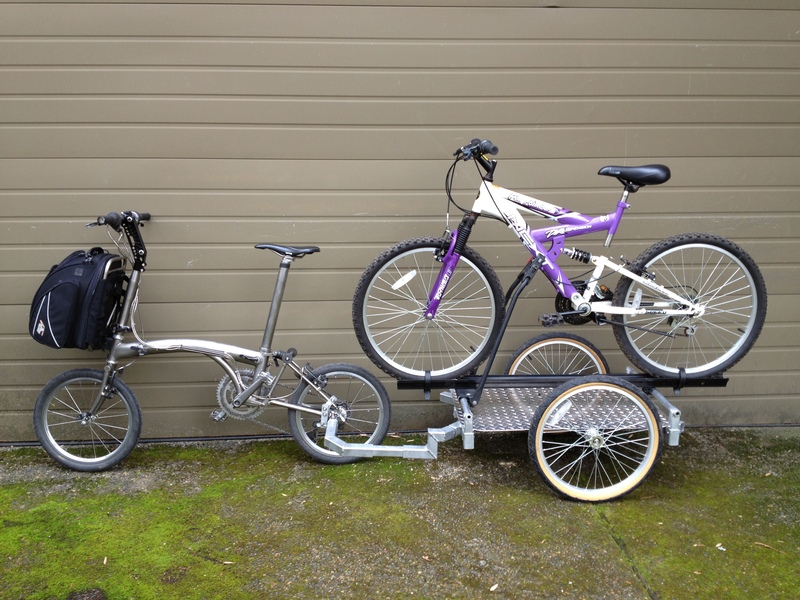 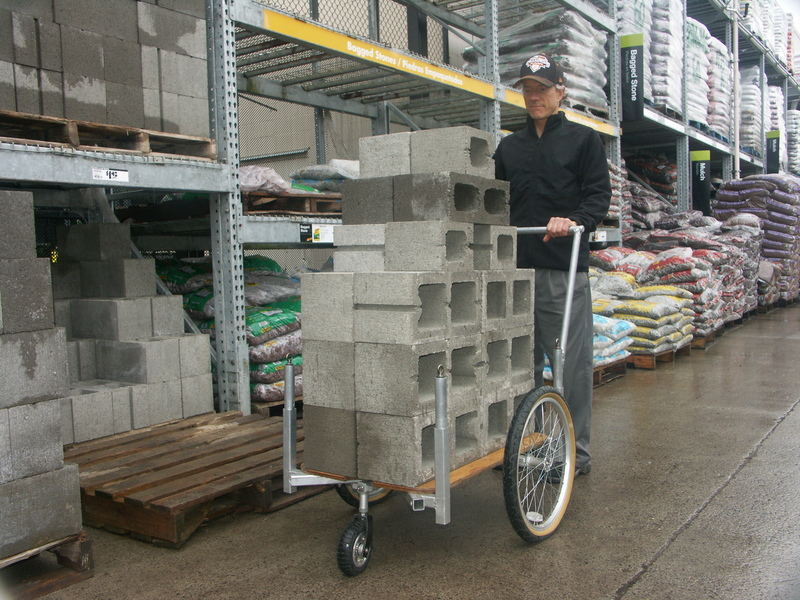 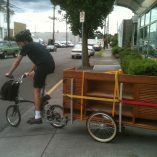 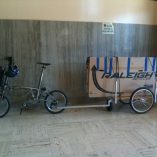 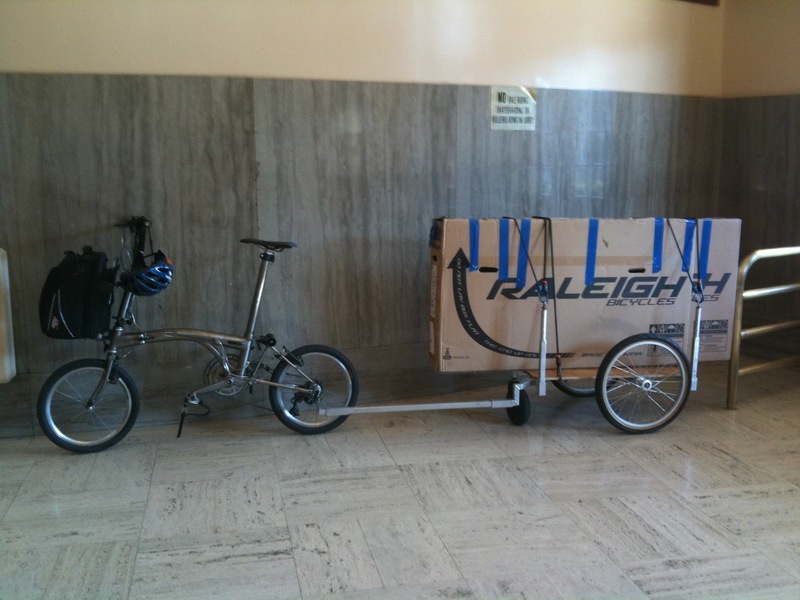 We create custom bike trailers for hauling goods and equipment to your specifications. 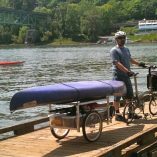 Past projects have included a bike-mounted carpet cleaning system, commercial food delivery, animal transport, a trailer for hauling 4 x 8 sheet goods (like drywall and plywood), a module for transporting heavy shield gas (welding) tanks, a custom watercraft hauling module, a module for hauling toolboxes, VERY long lumber and other materials, heavy office furniture, large musical instruments and amplification equipment, trash bins, landscaping equipment, up to eight bicycles—and a people hauler capable of moving five persons at once. 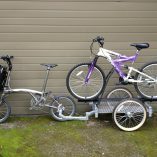 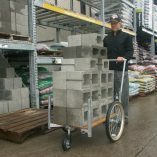 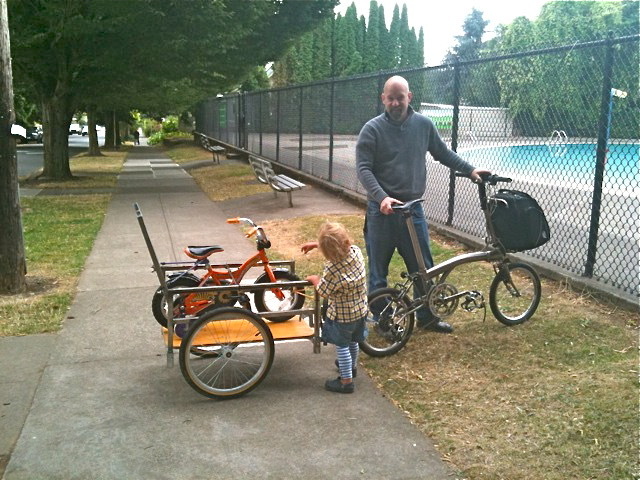 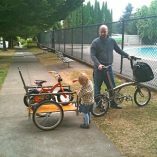 Contact us using the “contact” page on this site to begin exploring the design process for your custom bike trailer system.